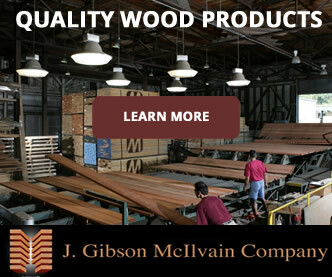 At J. Gibson McIlvain lumber company, we specialize in tropical decking, and we supply that high quality decking throughout the United States. 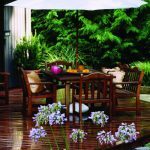 As experts in this field, we have found that there are some hard-and-fast installation principles that ring true regardless of whether you use African or Asian hardwood species such as Cumaru, Teak, or Ipe; domestic softwoods such as pressure-treated Pine; or even a composite material. The two basic types of decking installation utilize face screwing techniques or hidden fasteners. Both methods have their positives and negatives. 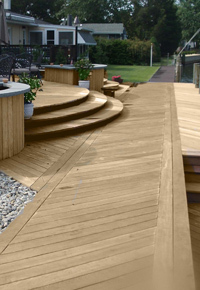 Since many of our clients utilize premium decking species such as Ipe or Cumaru, we’ll focus on how fastener systems can help you get the most out of your tropical decking products. 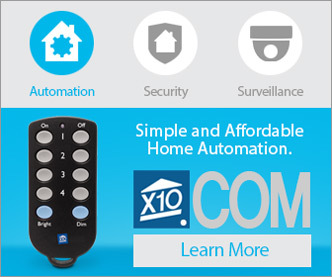 Two major benefits of face screwing are speed and security. However, the security of keeping the decking pieces firmly in position must be balanced with the need to allow for the natural flexibility that comes with seasonal movement. 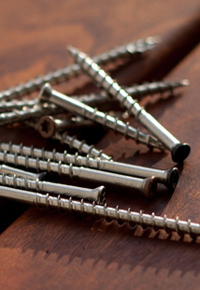 Therefore, only one screw should be placed across the width of each deckboard. When allowed to freely expand and contract, face-screwed tropical decking won’t twist, warp, or develop uneven surface gaps. Some critics, however, believe that those positives fail to outweigh the unattractiveness of exposed screw holes. In addition to the unattractiveness involved in face screwing, using this method for hard, dense tropical decking species can be rough for screws, drills, and drill bits: Many a drill motor has been burnt out by “ironwood” Ipe. The unblemished face of tropical decking installed with hidden fasteners is a major draw of this installation method. One downside is the longer amount of time that installation takes; another is the freedom for seasonal movement that can result in an uneven surface. When hidden fasteners are used, builders can drill into the softer decking sub-structure lumber, rather than the harder tropical hardwood used for the deck surface. Some clip systems will recommend drilling through the bottom half of the deck board, though, which will mean major wear-and-tear on drills and bits. Hidden fastener systems are designed to allow one edge of a board to remain free to expand and contract during seasonal shifts of moisture levels, while keeping the boards firmly secured to the joists. 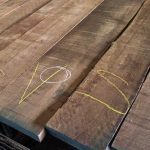 While opinions abound regarding the benefits of one installation system over another, at J. Gibson McIlvain lumber company, the method used depends largely on personal taste. 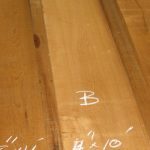 The key to a successful installation is not determined by the method, but more by the lumber selection. Regardless of the fastening system used, a carefully air-dried, quality decking board will be more stable than a lower grade material, regardless of how it’s installed. Choosing the right thickness, width, and species requires a good dealer with a wide selection of premium hardwood tropical decking options. 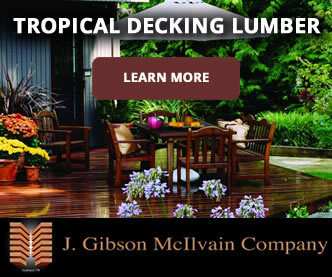 You can always feel free to contact the tropical decking product experts at J. Gibson McIlvain to discuss the details of your decking product needs. 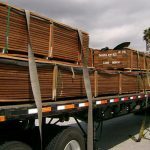 We deliver mid to large sized shipments of premium decking wood regularly nationwide. 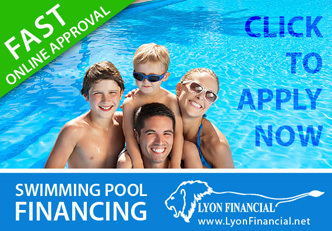 Call us at (800) 638-9100 or visit our website at mcilvain.com. 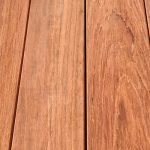 When should I use air dried versus kiln dried Ipe decking?